Wordpress is an amazing way to publish your ideas, content, offers and more online. However getting up to speed and making it work for you takes time. That's where WPSamurais 101 comes in. This is our collection of tips and tricks. We'll also committed to adding more and more, so if you have a question we'll create the answer and share it here.. We can't do better than that. 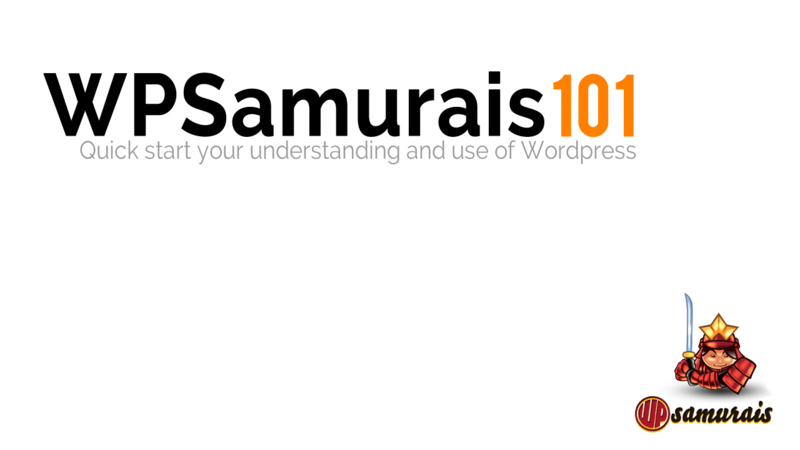 If you can't afford one of the WP Samurais to do it for you yet, or you want to learn how to become one yourself, then this is the best place to start. Get instant access to our online treasure trove of quick start tips, secrets and blueprint.